Orlando’s first television station, WDBO-Channel 6, formally signed on the air on July 1, 1954. But another anniversary usually goes unnoticed — the first television signal from an Orlando station, which aired about a month earlier. It was at 11:16 p.m. on Friday, June 4, that Channel 6 turned on its transmitter and sent out its first broadcast, a test pattern. The signal came from an 80-foot antenna atop the station’s new 500-foot tower on Texas Avenue, just north of West Colonial Drive. 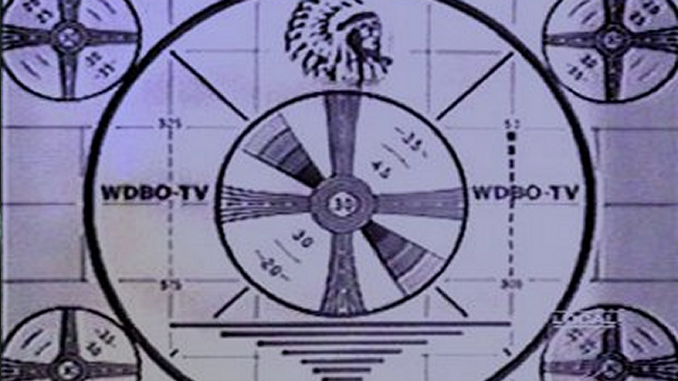 The WDBO test pattern would become a familiar sight — as the station would air it daily for viewers to adjust their television sets to get the best picture quality. Orlando TV owners were used to getting fuzzy TV signals from then WMBR-Channel 4 in Jacksonville but also from cities as far away as Milwaukee, if the atmospheric conditions were just right. But Channel 6, with its 67-mile signal radius, was about to bring long-awaited clear television images to area sets. 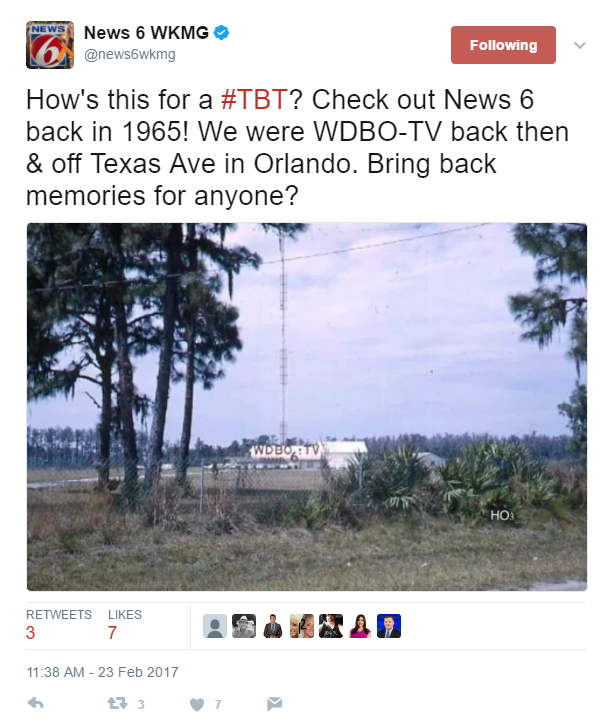 Channel 6 tweeted this picture of the old WDBO-TV studios, with its 500-foot transmission tower.